How to get there: The mountain is located at North: 73 ° 05' 46.6'' West: 28 ° 24' 44.5'' . Route description: The mountain can be climbed on skies from the east-south-east side after a traverse from the col between Birger Larsens Tinde and Larstind. Comments: The mountain is named after Even Mehlum who has worked and travelled extensively in North-East Greenland. 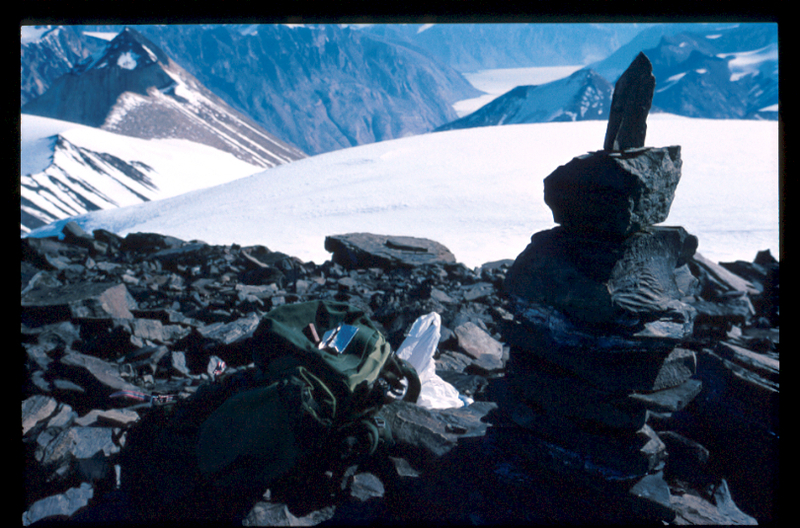 He was also the principal organizer of the 1996 expedition that had a party travel up the Gregory Glacier. The view from the summit includes a very good section of the fjord as well as Nathorst Tinde. The summit of Mehlums Tinde. Nathorst Tinde to the left, the Franz Joseph Fjord behind. 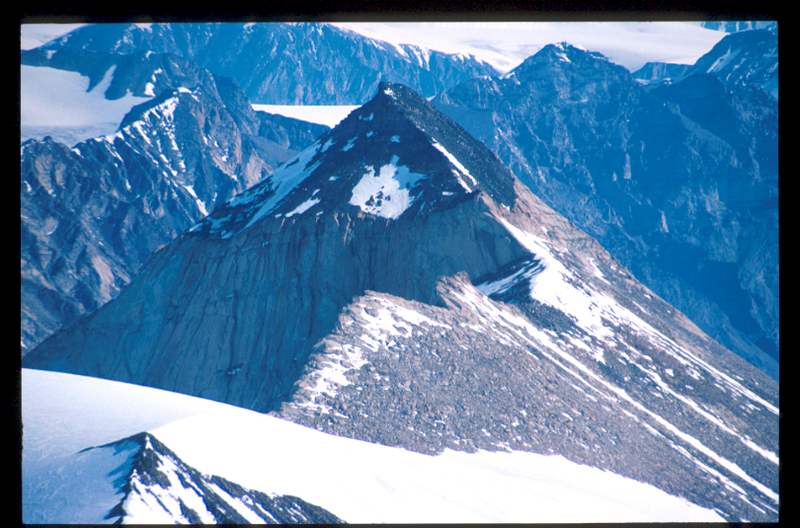 Nathorst Tinde as seem from Franz Joseph Fjord in 1996. 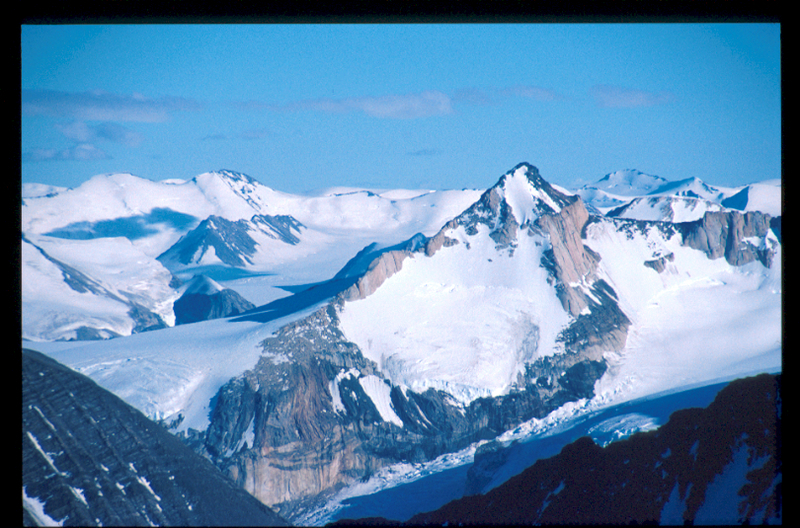 Nathorst Tinde as seem from Louisetoppene (just south of Gog) in 1998. 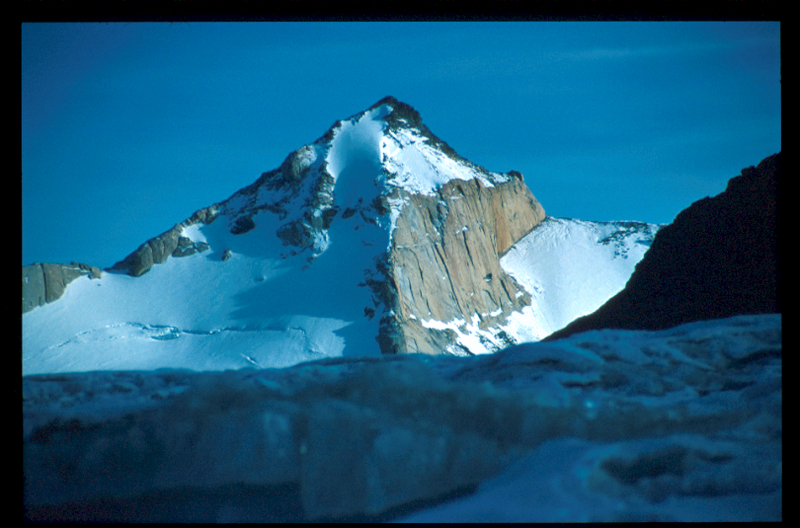 Nathorst Tinde as seem from the Gregory Glacier while hiking to Peterman in 1996. 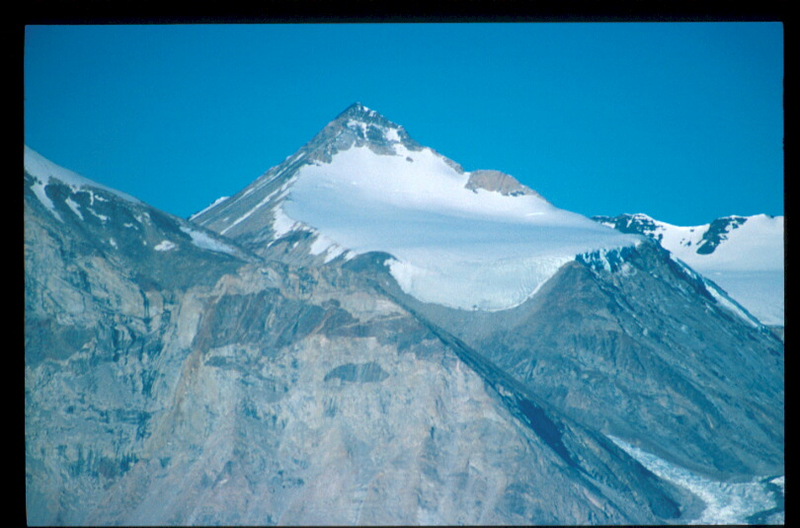 Nathorst Tinde as seem from the summit of Mehlums Tinde in 1998.